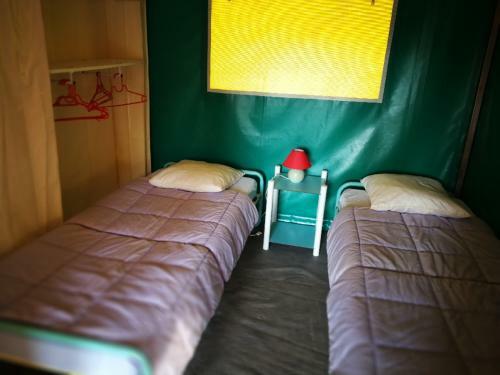 Accommodation combining comfort and practicality that's ideal for your first go at camping. 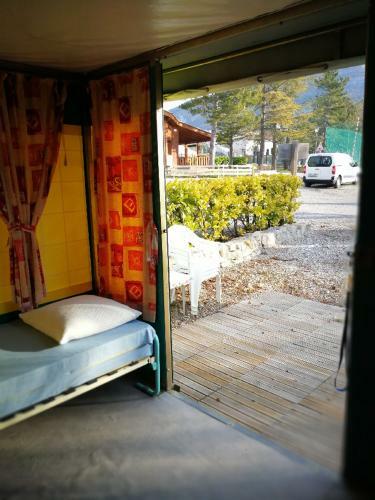 The tent bungalow gives you the opportunity to discover all the joys of camping without the hassle of having to put up then take down your tent. 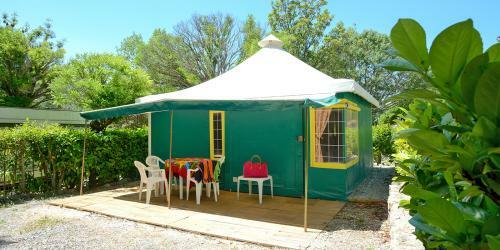 Enjoy being in contact with nature with this fully equipped, no-frills, affordable accommodation option. A shower and toilet block is located a few metres away. Tired-out from a hike or mountain bike ride, you'll be pleased to come back to accommodation that's all ready! 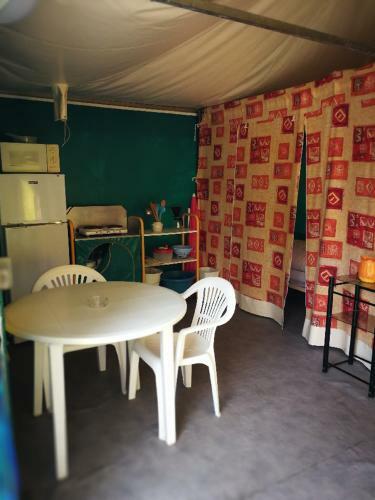 1 kitchen area with fridge and freezer, crockery, pots and pans, microwave, and coffee maker.